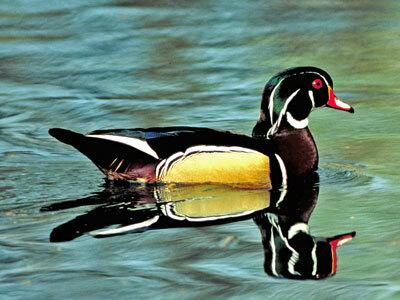 Many of North America’s most iconic waterfowl are found in the Chesapeake Bay Watershed. Located near the mid-point of the Atlantic Flyway, the Chesapeake Bay is an important stopover for migrating waterfowl and other birds. 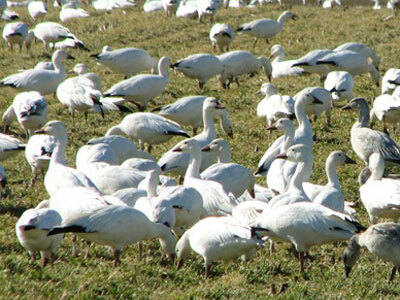 During the breeding season, the watershed is home to a variety of resident waterfowl. Waterfowl are found in a diverse range of habitats including cypress swamps, marshes, tidal creeks, shallow water grass beds, and the open bay. 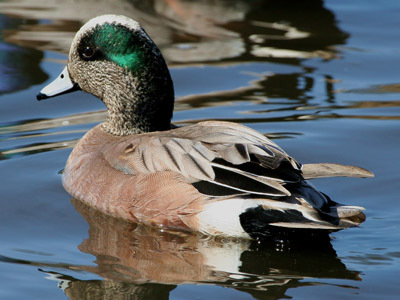 Several species of dabbling ducks are found in the Chesapeake Bay Watershed, including mallards, black ducks, northern pintails, green-wing teal, blue-wing teal, gadwalls, American widgeons, and northern shovelers. Dabbling ducks include both residents and migratory birds. 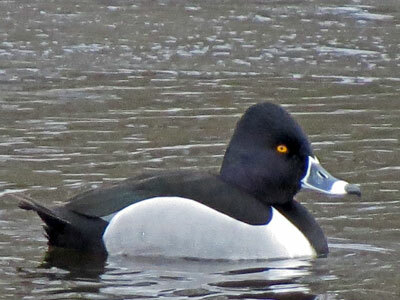 During winter, the Chesapeake Bay and its tributaries are visited by diving ducks including canvasbacks, redheads, greater and lesser scaup, ring-necked ducks, goldeneyes, buffleheads, and ruddy ducks. 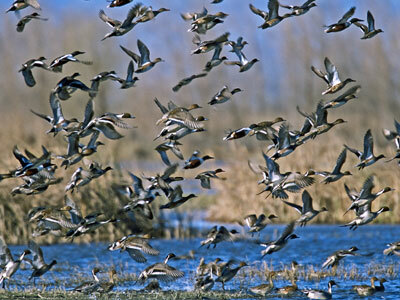 During the winter months, the Chesapeake region is visited by a number of ducks that are known collectively as sea ducks. 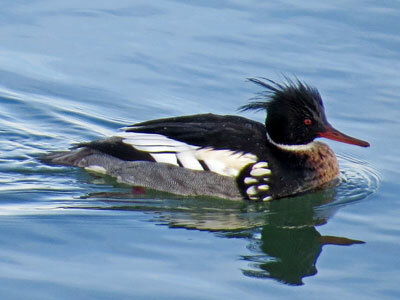 These include surf scoters, long-tailed ducks, common mergansers, red-breasted mergansers, and hooded mergansers. Several species of geese and swans are found in the Chesapeake Bay. Year-round residents include Canada geese and invasive mute swans. During winter, they are joined by Atlantic brant, snow geese, and tundra swans. Each January, aerial survey teams of pilots and biologists from the U.S. Fish and Wildlife Service, Maryland Department of Natural Resources, and Virginia Department of Game and Fish make visual estimates of ducks, geese, and swans that winter on the Chesapeake Bay.